WordPress as API. Available at https://data.justinwhall.com. Gatsby as the view layer. 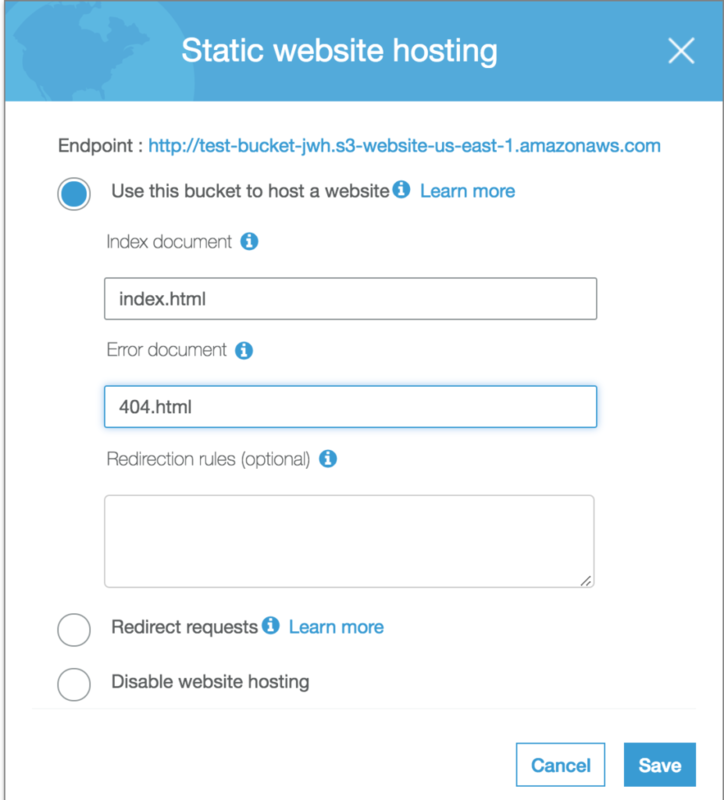 Static files stored on Amazon S3. TravisCI builds & deploys to Amazon S3 on Post or Page update and invalidates CloudFront cache. That’s a lot to cover. In this blog post, I’m going to cover building a Gatsby site with WordPress and having TravisCI deploy the build to Amazon S3. In subsequent posts, I’ll cover DNS, distributing via CloudFront and triggering builds when creating, updating or deleting posts & pages in WordPress. You have an AWS account. There is a free tier. You have AWS CLI installed on your machine. You have a WordPress site. You have Gatsby CLI installed. You have a Gatsby Site on GitHub and cloned locally. You can use any starter you’d like but GatsbyCentral starter is a great option. My site, is a finished example. You can name the bucket whatever you’d like as long as it’s DNS compliant. Keep the region US East 1. Leave properties screen as is. For public access settings, uncheck all 4 boxes as we actually do want the bucket to be publicly available. Add the following policy. Replace <YOUR BUCKET NAME> with the actual name of your bucket. 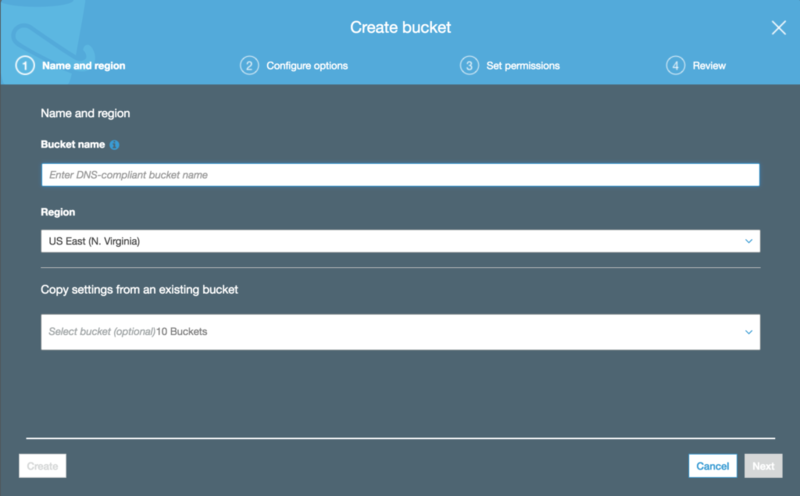 This allows all (public) GET requests to the bucket. From here, getting our built Gatsby site to AWS is actually quite simple. Copy files to S3 bucket. Either way, adding your repository should be a matter of toggling a switch. Previously, we used AWS CLI to deploy to S3. With Travis, you could install the AWS CLI, add credentials to the profile and then deploy but there is an way way. Travis offers a number of config options that essentially wraps the AWS CLI and takes care of all of this for you. All that is up to you is to provide credentials. You can find your credentials if you’re on a mac, by finding the “.aws” directory in your user directory. With that will be a “credentials” file. Within that you’ll find your aws_access_key_id and aws_secret_access_key keys. I’m no help for other operating systems but I’m sure your answer is quick google search away. In the upper right hand corner find the “More Options” button and then the “Settings” link in the drop down. This will bring you to a page where you can add your credentials. Absolutely make sure “Display Value in Build Log” is not on. We’re sharing credentials with TravisCI. I’m not going to go into AWS Users or IAM, but be very aware of the privileges you are giving to Travis. It’s not that Travis is malicious, it’s more of a what if situation in the event Travis has a security breach. If you, for instance, give Travis access to billing, the situation could get ugly quick. Distribute this site with CloudFront. DNS. Point an actual domain at this site. Have WordPress trigger a Travis build when saving, updating or deleting a post.